Fred Sandback. 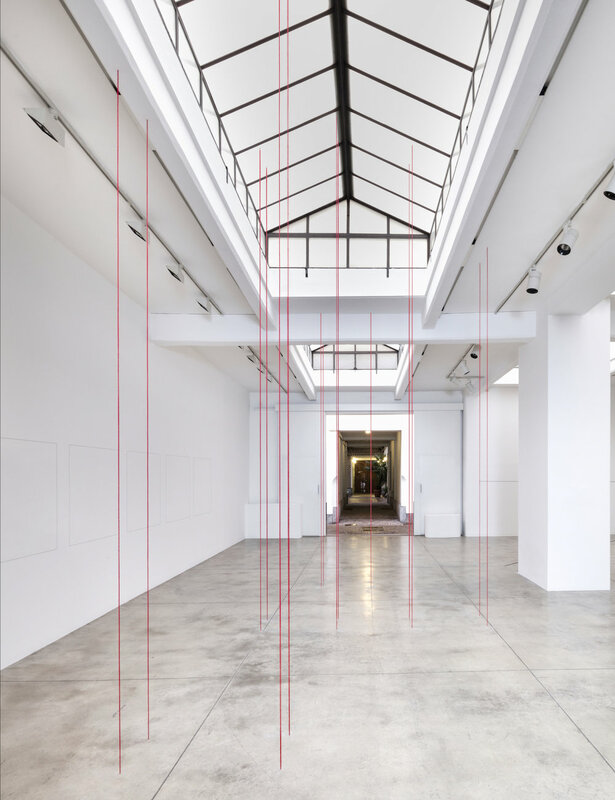 Cardi Gallery, Milan. February 22–July 6, 2018. 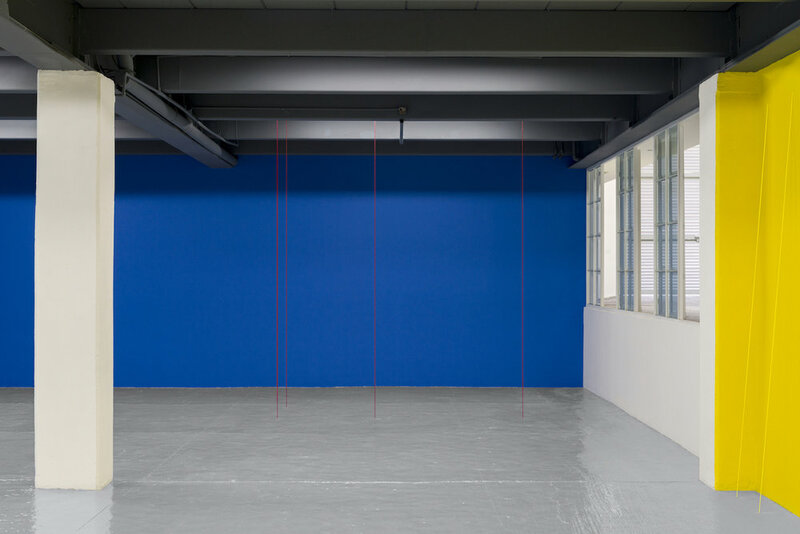 Fred Sandback: The Properties of Light (Inside and Outside). Proyectos Monclova, Mexico City. May 26–August 18, 2018. Fred Sandback. Galería Cayón, Menorca. July–September, 2018. Fred Sandback: le Fil d’Occam. Galerie Marian Goodman, Paris. September 8–October 20, 2018. Fred Sandback: Sculpture. Mana Contemporary, Jersey City, NJ. Opened October 14, 2018–ongoing. David Zwirner: 25 Years. David Zwirner, New York. January 13–February 17, 2018. Pastels, du 16e au 21 e siècle. Fondation de l’Hermitage, Lausanne. February 2–May 21, 2018. Rendez-vous du dimanche. Kunstmuseum Liechtenstein, Vaduz. February 16–August 19, 2018. Cross-Currents: Post-War Books, Prints, and Multiples. Sims Reed Gallery, London. April 30–May 25, 2018. Le Lieu du film/De Plaats van de film. Kanal Centre Pompidou, Brussels. May 5–July 7, 2018. Ruth Asawa, Donald Judd, John McCracken, Fred Sandback, Richard Serra, Al Taylor. David Zwirner, New York. Through June 30, 2018. Spaces: Works from the Collection, 1966–1976. National Gallery of Art, Washington, DC. Opened August 4, 2018. Auf der ganzen Linie! Positionen zeitgenössischer Zeichnung. Kunstraum Alexander Bürkle, Freiburg. July 15–September 16, 2018. Iran do Espírito Santo and Fred Sandback. Fortes D’Aloia & Gabriel Carpinteria, Rio de Janeiro. August 25–November 10, 2018. Space Shifters. Hayward Gallery, London. September 26, 2018–January 6, 2019. James Bishop, Robert Mangold, Fred Sandback, and Friends. 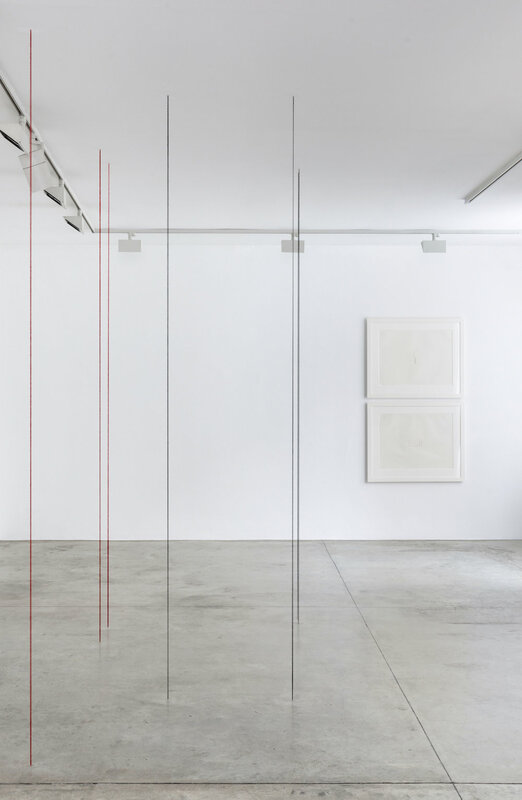 Annemarie Verna Galerie, Zurich, September 29–November 24, 2018. Flat Out: Works on Paper, 1960–2000. Mana Contemporary, Jersey City, NJ. Opened October 14, 2018–ongoing. Der Elefant im Raum. Skulpturen aus der Sammlung Marx und der der Sammlung der Nationalgalerie. Hamburger Bahnhof Museum für Gegenwart, Berlin. November 1, 2018–September 8, 2018. Flavin, Judd, McCracken, Sandback. David Zwirner, Hong Kong. November 15–December 21, 2018. Minimalism: Space, Light, Object. National Museum of Singapore, November 16, 2018–April 14, 2019. Mouvements! Espace de l’Art Concret, Mouans-Sartoux, France. October 20, 2018–March 17, 2019. Drawing Space: 1970–1983. Darboven, Le Va, Rockburne, Sandback, Saret, Sonnier. David Nolan Gallery, New York. November 1–December 21, 2018.